In the archery world it is pretty hard to go shoot without some kind of travel involved. Canada is a very large country and you can travel several hours even to a local tournament. For example going to the Canadian National Championships, which can be anywhere in Canada, often will require flying, and/or driving. So, while traveling you need some form of protection for your bow, enter the bow case. There are basically two kinds of bow cases, soft or hard shell and they are available in many shapes, sizes, and materials for every type of bow including traditional, take-down recurve, compound or crossbow. Typically manufactured from nylon, often they are just one big pocket to wrap up your equipment with additional smaller pockets for some smaller items. Soft-shell cases are typically lighter therefore great for carrying distances as they are typically lighter than hard-shell cases however because they are made from flexible material, you can not stack anything on them otherwise you will damage the bow or equipment inside. Although not as durable as hard shells they are typically less costly and therefore great on the budget. Typically manufactured from hard-plastics and/or light metals, hard-shell cases provide more protection for your bow and allow you to stack them without worry of damage to the contents. 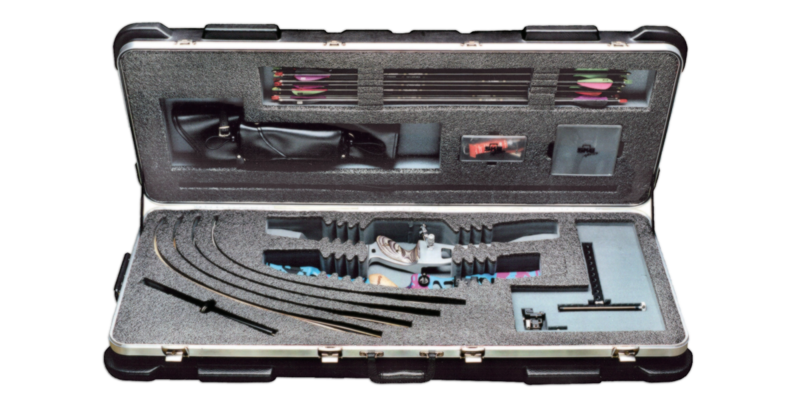 Most hard-shell cases offer many compartments, Velcro latches, and even formed foam to securely hold your bow in place during transportation. Most offer a place to store your arrows, lockable latches, and some cases even provide handles and wheels for trekking through the airport. Typically, hard-shell cases are more expensive than soft-shell cases however usually they are far more durable and offer far more protection, especially for those who are traveling abroad where others are handling your cases. Since, there are no take-down compound bows, either soft-shell or hard shell for compound bow cases are typically designed the same way because the shape is fairly consistent and the same can be said about crossbows. With recurve bows there can be greater variances such as traditional bows and take-down bows and the need to transport additional equipment such as larger stabilizer systems. There are three basic types of cases for recurve bows, a bow sock, a single bow case and a double bow case. Typically used for by non-take-down recurve bows, they are usually made from cloth or nylon. Designed to slip-over and cover the entire bow while unstrung and a great option for traditional bows. 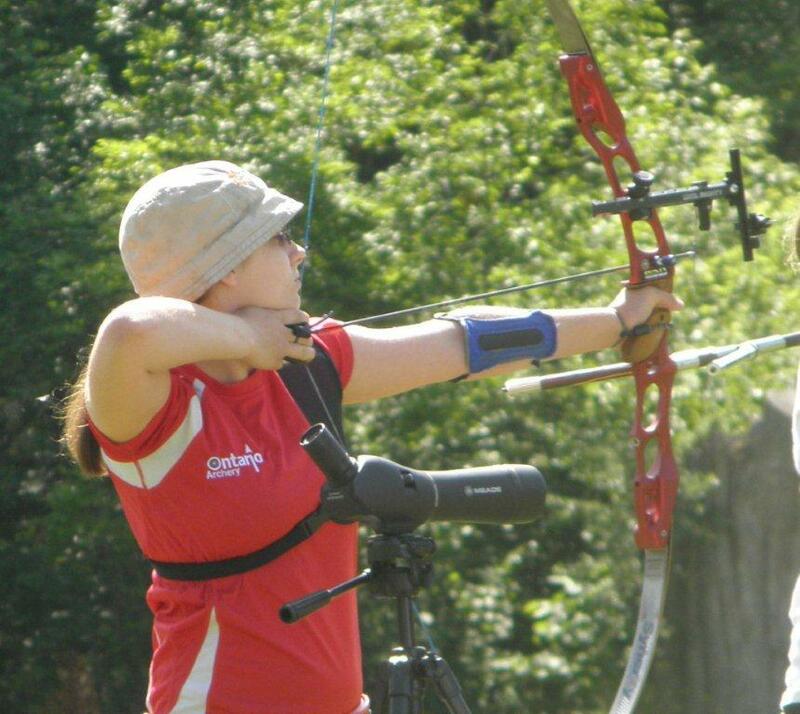 Single bow cases can be either soft-shelled or hard-shelled and typically designed to host a single Olympic bow. Most hard-shelled versions and some soft-shelled cases provide various pockets and areas for all the associated equipment including stabilizer system, sight, stand and even arrows. Similar to a single bow case however typically only available in hard-shell, are usually much larger and provide space for two complete Olympic bows and accessories. This is a must for any competitive archers participating in international events since it is recommended that you have two identical bows for competitions. Which case is right for you? This will depend on your equipment, your shooting style, the tournaments you plan to attend and your budget. 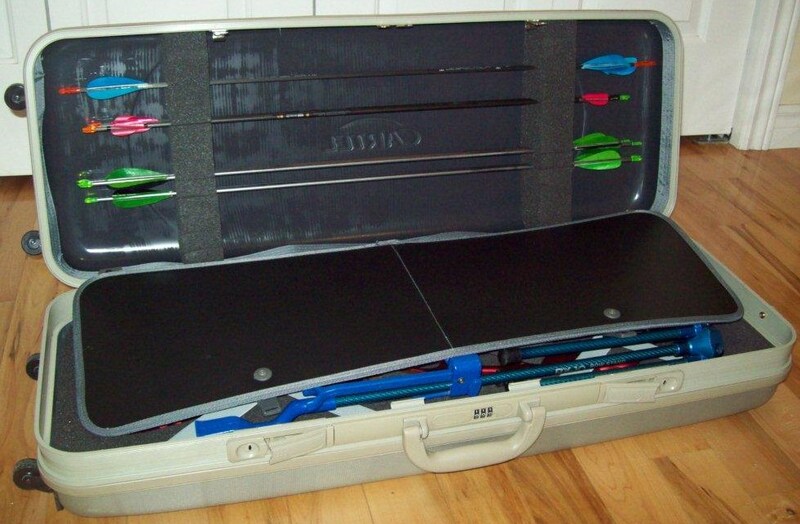 If you are planning to travel to tournaments where someone else may be touching your bow case such as porter or flight attendant, you may want to invest in a hard-shell case. Personally, I have two hard-shell cases, one for short trips to local tournaments and one for long trips that can handle two bows. 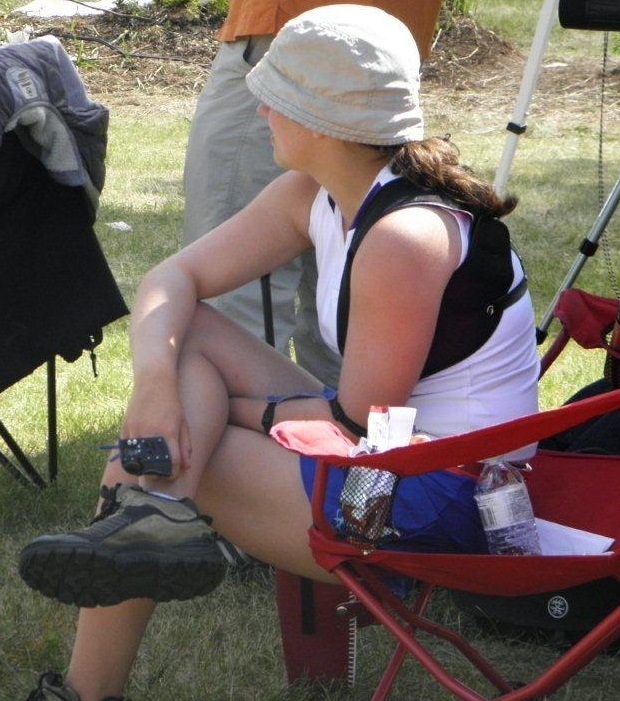 While at the Canadian National Archery Championship in Delisle, Saskatchewan this past month I got sick with stomach flu. We drove out to Saskatchewan in just three days and I originally thought it was the car ride, however shortly after arriving at the campsite I started to get worse; Dilemma. What do I do? I pressed onward and shot the Field Championships capturing the Silver medal however, I did not shoot well nor did I feel better. Should I stop? No, I kept shooting the Target Championships and the Canadian Open, placing fourth in both. Did I make the right decision? I am not sure however, I did learn something. Participating at any level while you are not feeling well is not an easy thing to accomplish. Your body is weak and your concentration is not at its best, since your focus is on feeling better. Competing while you are sick with a virus such as influenza presents enormous challenges of exhaustion as your body fights the infection and you are unable to eat and provide your body additional fuel. Deciding to press onward is a personal choice and should not be taken lightly. Ask yourself one question “What is on the line with this competition?” If the answers are World Championship, Olympics, National team, and perhaps future funding maybe you do need to force yourself to participate. Medicine can help when you are not feeling well; however, not all medicines are approved for sport. All athletes that compete at an elite level will be subject to anti-doping testing and if you choose to take any medicine do so with great caution and consult the NSF website for those approved for sport. Therefore, in a tournament, it is important to provide your body with some kind of fuel to maintain your strength for strong shooting; shooting weak results in weak inconsistent shots that translate into lower scores. . You should also rest as often as you can and maintain a regular pace so to not over extend your body and lead to long term damage. I drank orange juice and beef broth and I sat down as often as I could to maintain my strength. This allowed me to finish the tournament, even if it was not my best performance. Shooting requires a good strong foundation therefore comfort and stability as equally important, so you need proper footwear to be successful. When shooting indoors, you need to make certain you are comfortable in the shoes or boots you wear. Since indoor floors are level, you are able to distribute your weight evenly on your feet, the important things to remember include good arch support, low or minimal heel and lightweight. Shooting outdoors presents various challenges including weather, location, and safety. Various types of tournaments with various types of weather create different types of obstacles for archers. 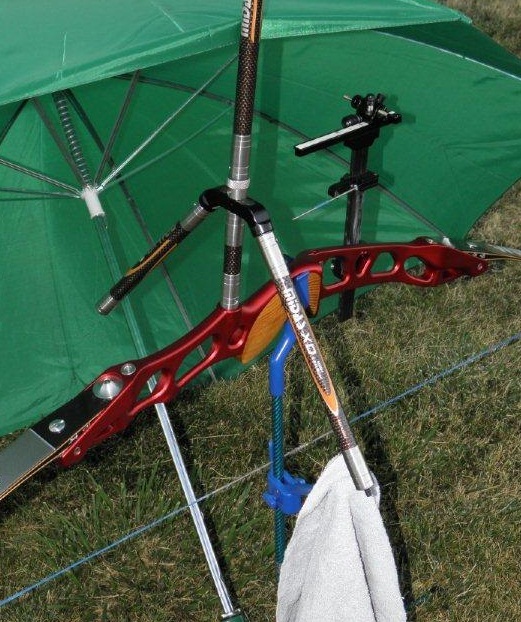 For target archers who shoot on a relatively level field, the weather is the largest factor. An archer needs comfortable footwear however they also should be prepared for bad weather and/or wet ground to trek through. You do not want to be stuck shooting in wet feet for several hours; therefore warm, dry feet should be the priority. Rain boots or waterproof footwear are recommended. If you choose to participate in field and/or 3D tournaments, you are often trekking through the woods and shooting on uneven ground. Once you add in weather conditions, you might have to deal with mud, puddles, slippery conditions as well as bush, vermin and insects. I would recommend you invest in a good set of waterproof boots or Gore-Tex hiking boots. Boots help protect the foot and ankle from brush, and provide traction on uneven or muddy ground. 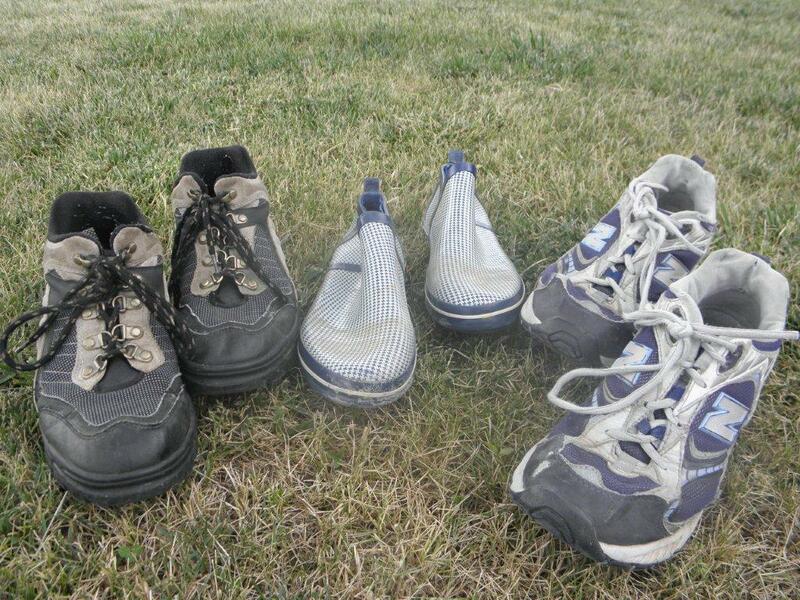 A shoe covering that goes over the ankle is recommended in any place that wood ticks can be present. Therefore, for outdoor shooting things to consider depending on the types of tournaments you choose to participate in, are comfort, good arch support, low or minimal heel, lightweight, warm, waterproof, breathable, good traction and decent quality. A good quality shoe or boot will help with your posture and in turn improve your scores. Also, remember to practice frequently in all your different footwear, since every pair can have a slightly different fit and have a different feeling during shooting. A tournament is not the time to be adjusting to a new set of shoes. There have been many different studies on the use of a hat during athletics. There are two trains of thought, some feel wearing a hat outdoors may reduce the level of thermal stress by limiting the amount of solar radiation to the head, but others feel that covering the head may also impede convective and evaporative heat loss during extreme heat. In my opinion, it is very important for an archer to wear the proper hat while shooting. A light brimmed hat helps protect your from the sun so you do not burn and more importantly provides shade to your eyes so you can see the target while you are at full draw. In rainy conditions, a brimmed hat has the additional benefits of keeping your head dry and protecting your glasses from raindrops. It is important to find a hat that not only feels right and looks good but also does not interfere with the bowstring. For compound archers, their bows have a narrower string angles at full draw that enables them to choose hats with a larger brims such as a baseball cap. For most recurve archers the bowstring angle is much wider, and therefore they will need to choose hats with a shorter brim. A lot of recurve archers choose to use a bucket hat similar to the hat Gilligan wore on the 60’s popular TV show. Finding the perfect hat for you is not always easy and may require some trial and error. Remember, the hat should have some shade protection for your eyes, some sun protection for your head, it needs to fit right, and feel comfortable, somewhat breathable, and most important not interfere with your bowstring. Even if you choose not wear a hat regularly while shooting, you should always have one with you, just in case. For some archer’s rain can be a real pain, since it is not like shooting under a calm clear blue sky. However, for those archers who prepare and train for it, it is an awesome opportunity to excel. To be prepared for shooting in the rain, there are only three things to prepare and train for; arrow flight, keep your equipment dry as possible, keep warm, and dry. Dry equipment is just easier to work with, it functions better and is easier to draw and hold. Keep your equipment under your tent or umbrella while you are not shooting. Towel-dry your bow, arrows and your hands between ends. Quick Tip: Keep a small dry piece of cloth in your quiver so when you go and get your arrows from the target you can dry the shafts of the arrows to help you remove them for the target easier. For any type of athletics, it is more important to keep warm even if you get wet. You can use good waterproof jacket, however make sure it does not interfere with your bow arm rotation, you are able to draw back your bowstring, and it does not get in the away of the string. Otherwise, wear several layers of shirts and a form-fitting sweater that you can shed. Make sure you have dry clothes you can change into between ends and afterwards. Quick Tip: Get a light waterproof zip-up sport jacket and wear it with your bow arm exposed and the arm pinned out of the way. This way you will at least be warm and dry everywhere else. Remember, that you can avoid a poor performance by being be prepared, and the advantage of being prepared for those unexpected weather conditions such as rain can help give you a great opportunity to excel. Arrows are one of the most important parts of any archer’s arsenal. You can have the best bow in the world however, without a couple of arrows you are not going to be able to do anything. Nowadays arrows are not cheap and we protect them when in storage and transportation however while shooting we need them on our hip in our quiver ready of action. Most quivers come with dividers or tubes to help separate arrows and are a cheap and easy solution for protecting your arrows. Quiver tubes offer protection against damage to the quiver, avoiding lost arrows and injury to the archer. Tubes also offer protection for our arrows and their fletchings. While arrows are bunched up and being tossed around in the quiver the tubes or dividers keep them separated to avoid damage to the arrow shafts and feathers. Any such damage can result in poor arrow flight performance and therefore lower scores. 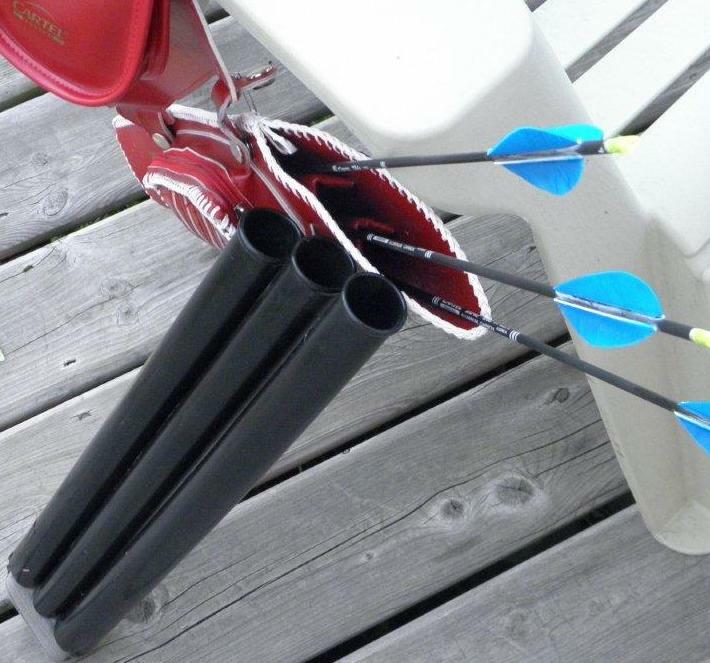 Another advantage of quiver tubes is that they can act as a visual aide to make sure you do not shoot too many arrows. With three tubes, you can easily remember three arrows for indoors (one for each tube) or six arrows for outdoors (two for each tube). Tubes also provide any opportunity to separate your primary arrows from those that you consider as your backups. Overall, quiver tubes are just a great method to keep and protect your arrows. My Cartel quiver came equipped with arrow dividers, however if your quiver did not come with tubes or dividers, consider purchasing a set. Cartel Doosung offer a simple three pack for a very reasonable price.